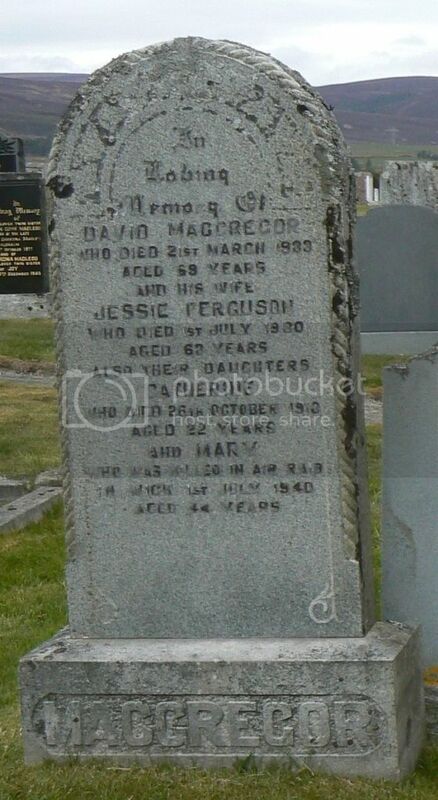 Daughter of the late David and Jessie McGregor, of Clyneleish, Brora, Sutherland; wife of John Steven, of 43 Argyle Square. Died at Bank Row. 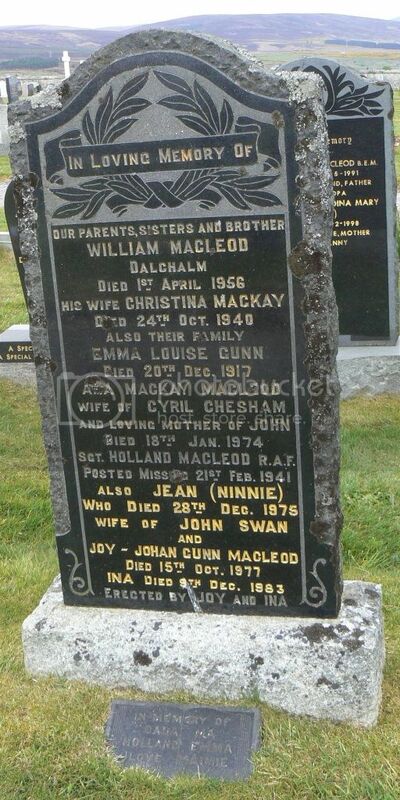 Parents: William and Christina MacLeod of Dalchalm, Brora. Died: Spanish Flu 9.9.18. H.M.T. ‘Vivid’. The English Channel. 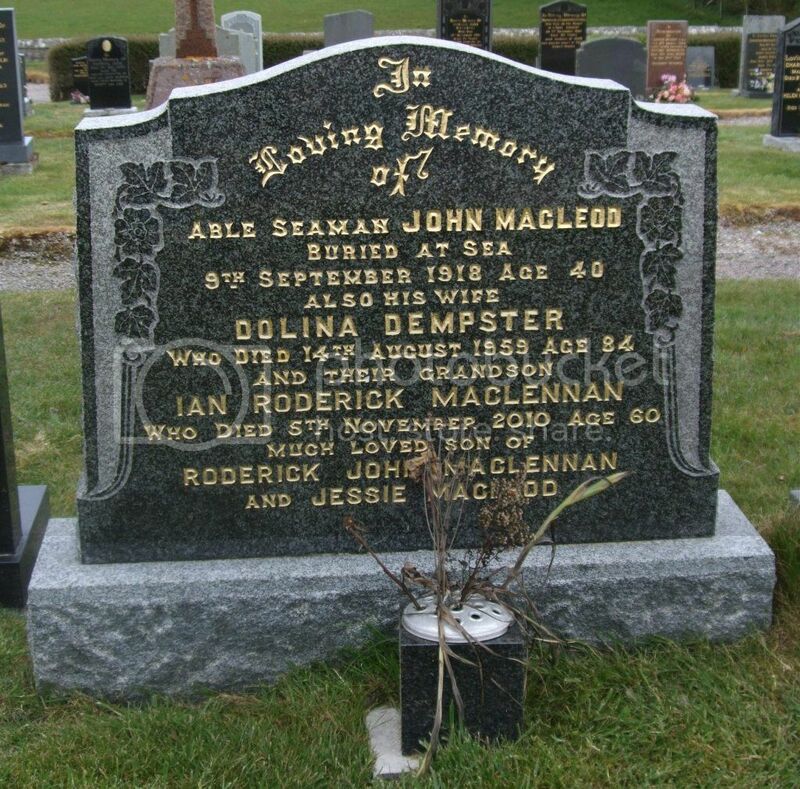 Spouse: Dolina (Dempster) MacLeod of The Pier, Brora. Married 1908. Mobilized: Halifax, Nova Scotia 24.8.14. Returning home from Indian Ocean on leave in 1918. Caught pneumonia in Gibraltar. Unit: 1/6th (Banffshire and Donside) Battalion, The Gordon Highlanders. T.F. Commemorated: The Thiepval Memorial, France. 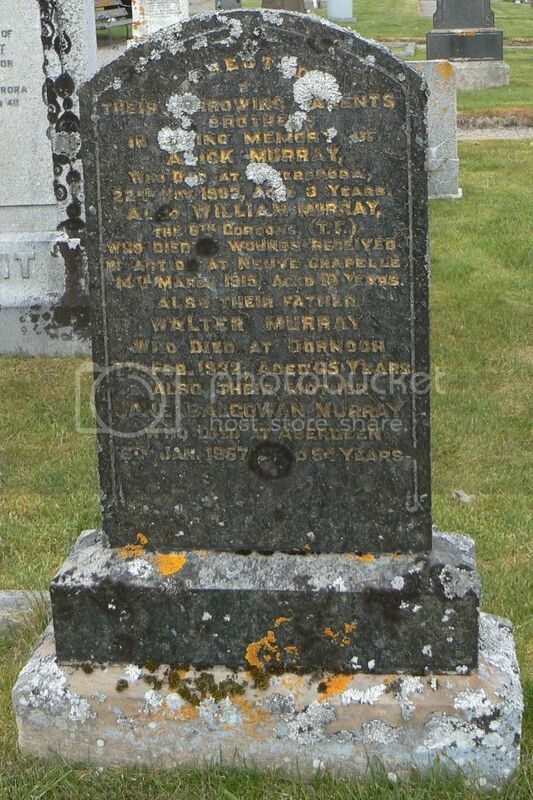 Listed on the Clyne United Free Church War Memorial, Brora, as 24th Bn London Regiment. Unit: 1/5th (Sutherland and Caithness) Battalion, Seaforth Highlanders. T.F. 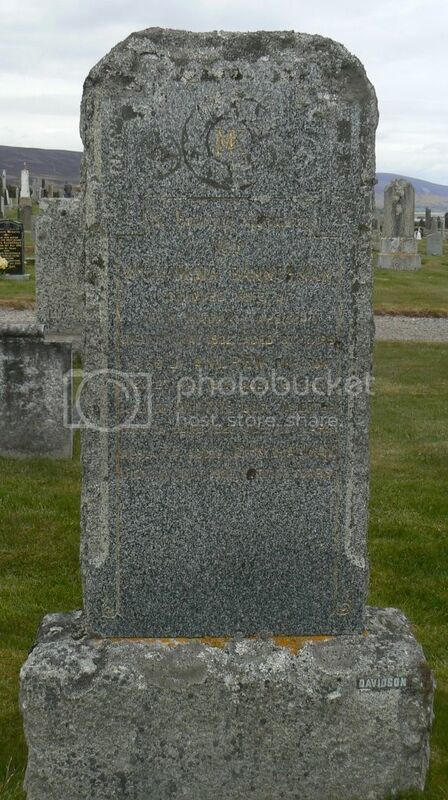 Parents: James and Elizabeth 'Eliza' (Keith) Reid, of Croftbank, Brora. Born: West Shinness, Lairg 1882. 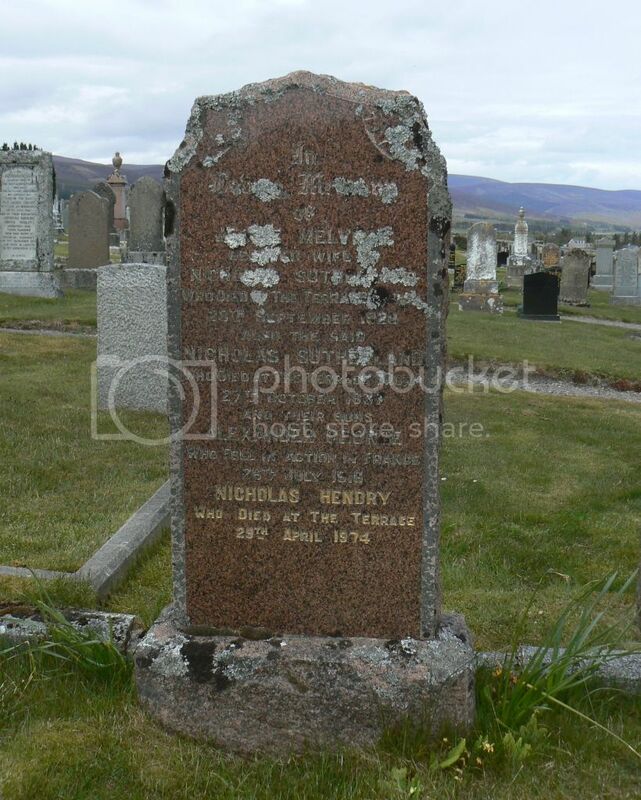 Parents: Nicholas and Jessie (Melville) Sutherland, of Gower Street Cottages Brora. Medals awarded: 1914-1915 Star, War Medal, Victory medal.